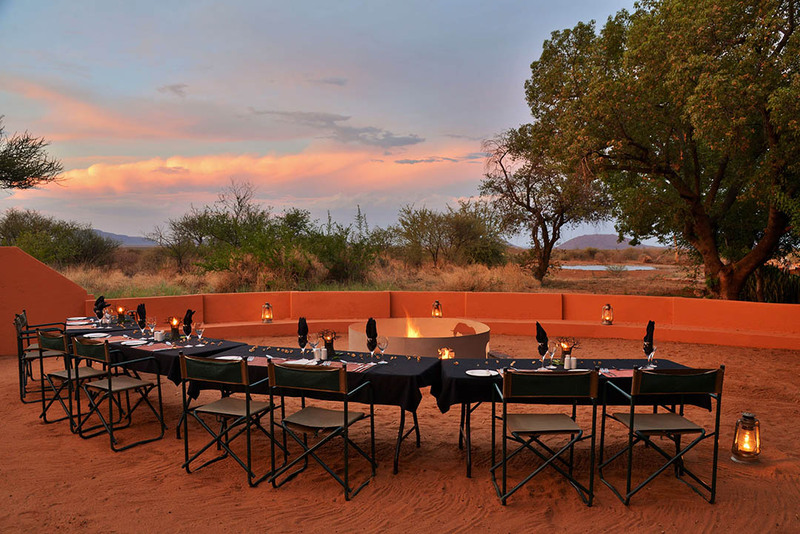 The Bush House is an upmarket owner-managed safari destination located on the mid- western side of the malaria-free Madikwe Game Reserve. 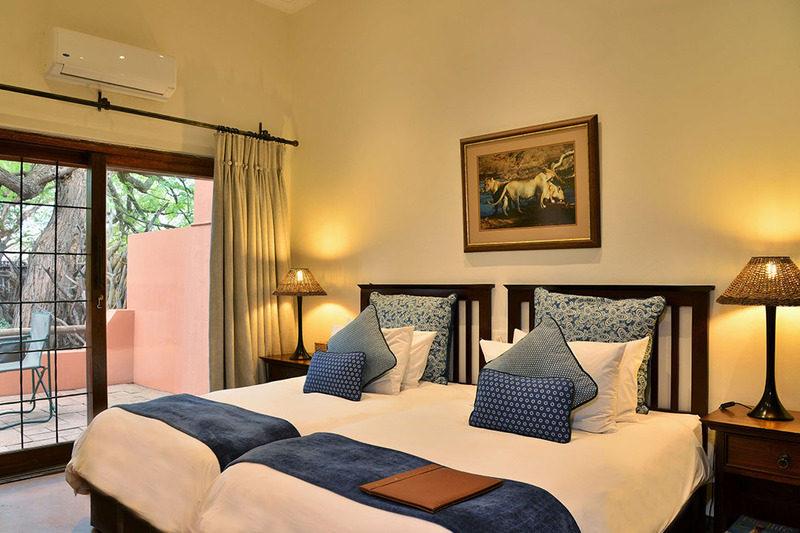 This four-star lodge in Big Five country is set in an old farmhouse which has been transformed into a homely family-oriented haven. 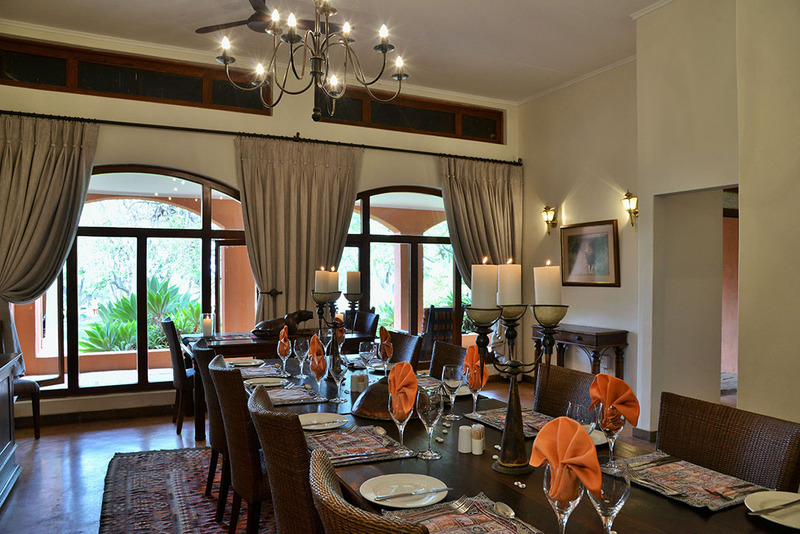 In keeping with its intimate ambience, The Bush House encourages guests to kick back, unwind and enjoy a memorable African excursion. 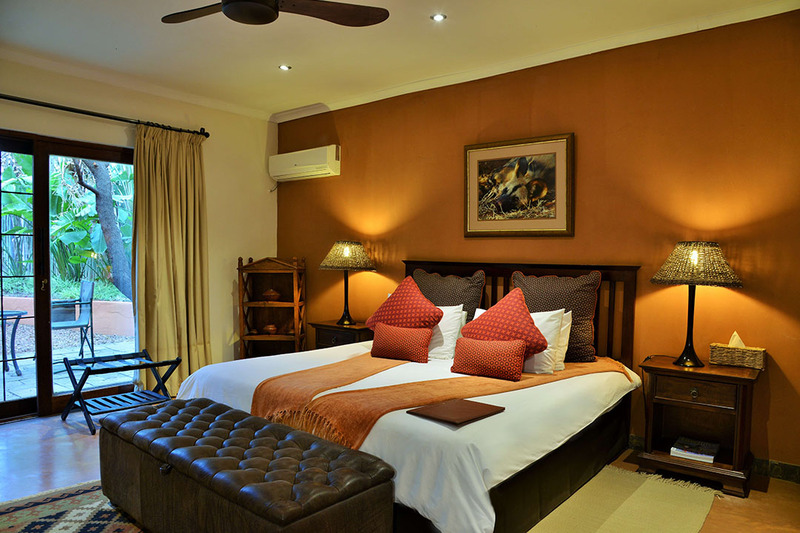 The Bush House offers guests six stylishly appointed en-suite rooms centered around the body of the lodge. 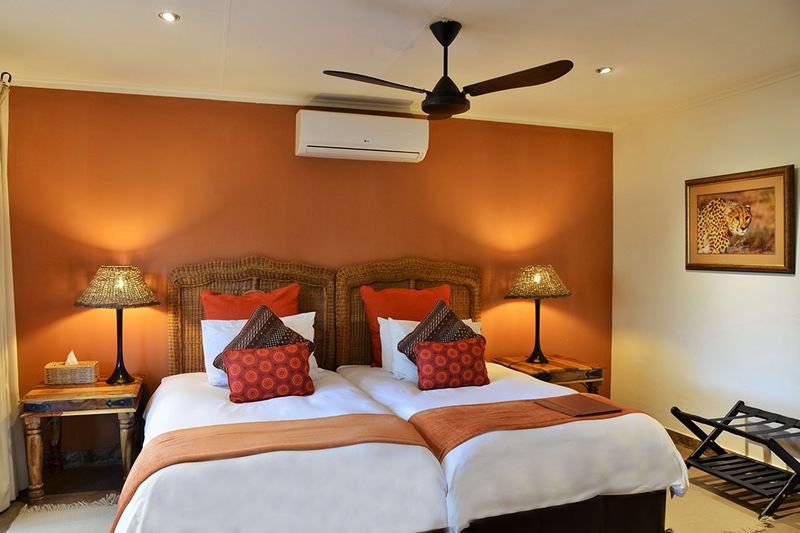 Each double room boasts a choice of two twin beds or a king- sized bed made up with percale bed linen, a separate shower and bath with toiletries and fluffy towels, plus air-conditioning, a fan, hairdryer, safe, and coffee/tea making facilities. There is also access to power, free internet, and adequate cell phone reception should you need to stay in touch with the outside world. 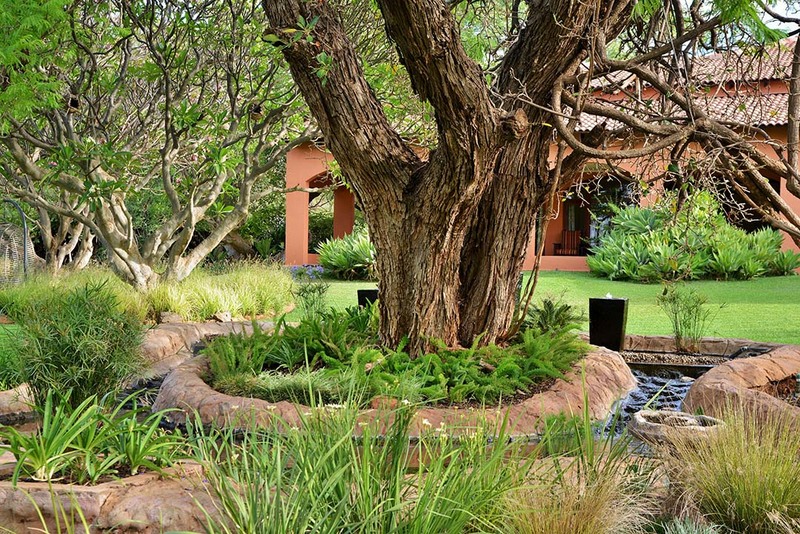 positioned alongside a magnificent water feature. 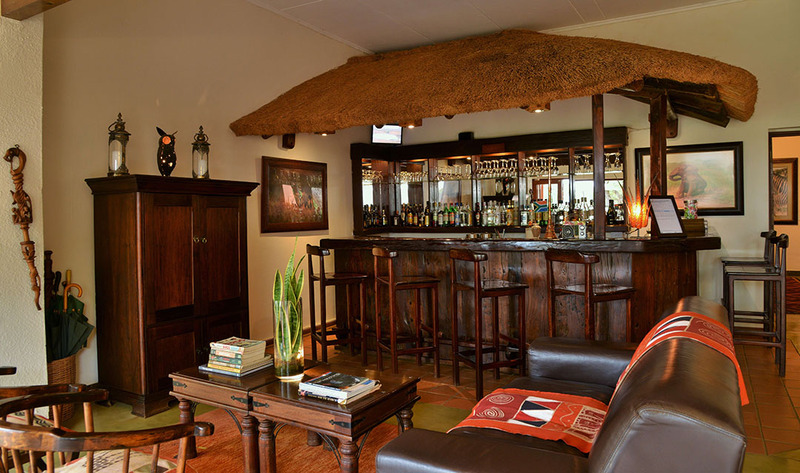 The stylishly decorated interior of The Bush House’s central hub has a comfortable sitting room, reading zone, TV lounge with DSTV – for sporting emergencies only, and a congenial pub where you can enjoy socialising with fellow visitors after another amazing day on safari. 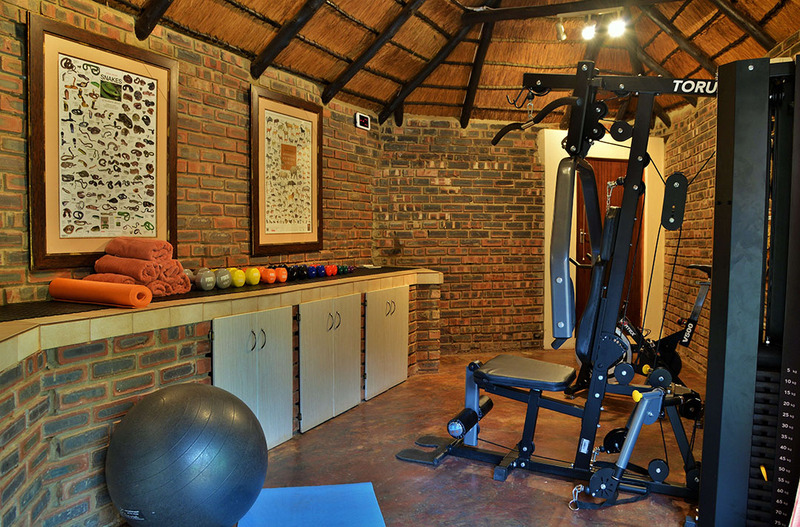 The Bush House is geared for outdoor enthusiasts looking to escape the stresses and strains of the daily grind. The crystal-clear rock pool is the ideal spot to soak up the tranquility of this idyllic wilderness haven. If you’re up for some fun and games, why not partake in a friendly game of cricket, rugby or soccer on the manicured lawn. 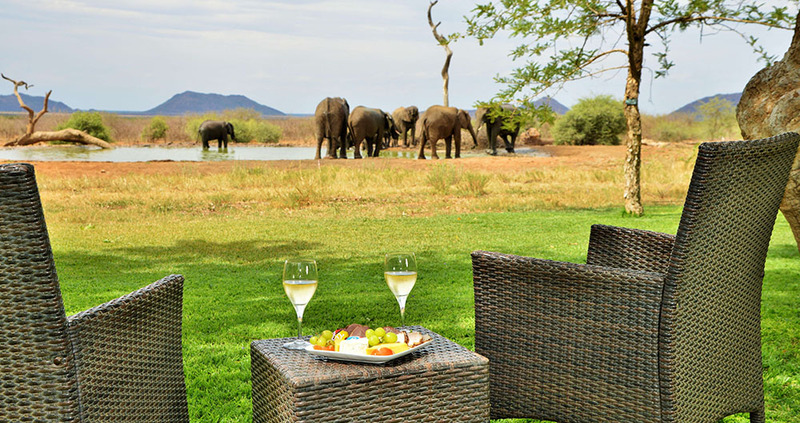 Alternatively, retreat to the Lodge patio and watch the diversity of game meandering to and from the waterhole. 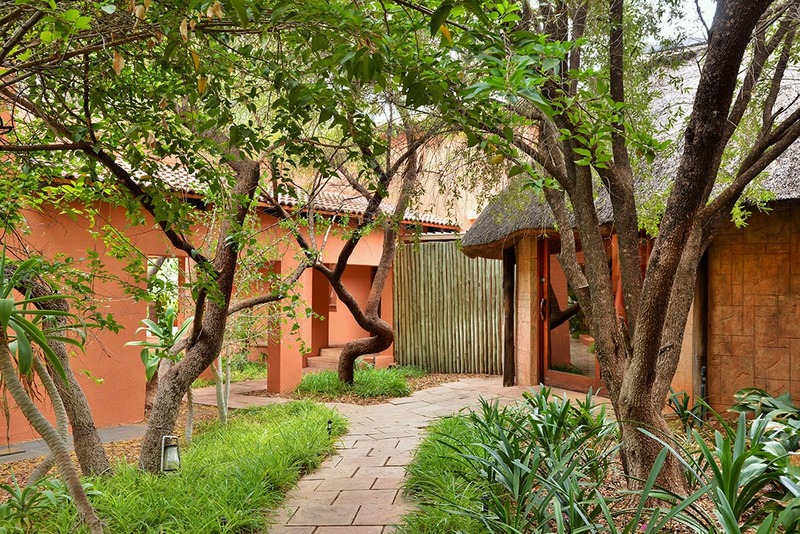 Or take advantage of The Bush House’s wheelchair-friendly underground hide to get an eye-level perspective on all the activity at the waterhole. 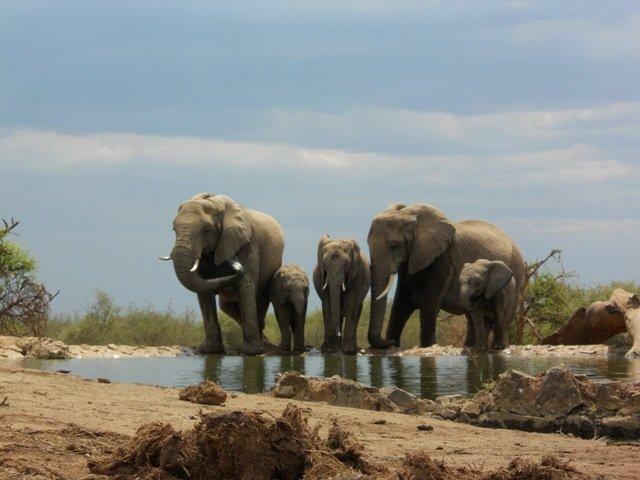 The waterhole is lit up at night giving you the opportunity to observe the more elusive nocturnal species. 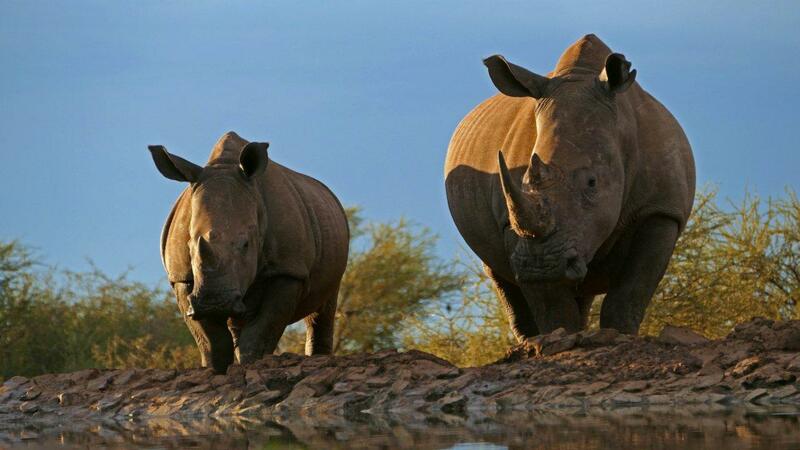 Additional outdoor adventures include early morning and late afternoon game drives in open 4X4 vehicles, and informative bush walks conducted by expert field guides. 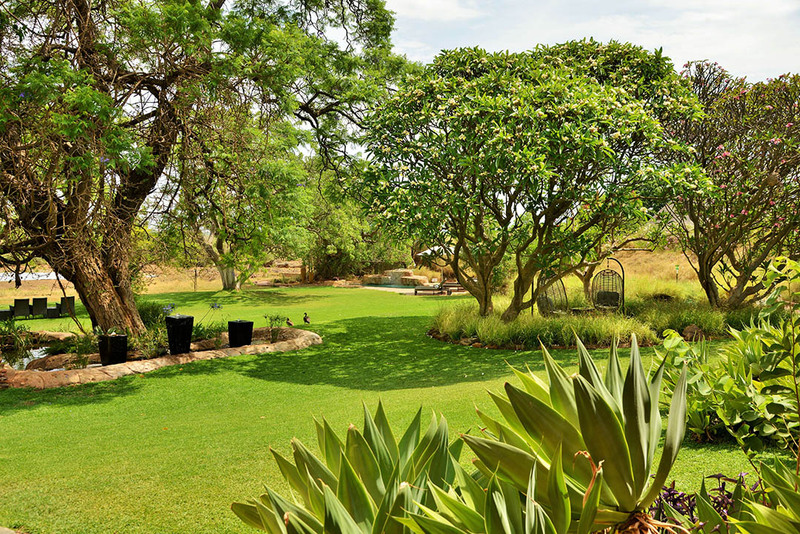 Being a family-friendly destination, The Bush House provides special game drives for those children who are too young to join the regular game drives. A babysitting service is also available on request. As the five-hectare camp is fully fenced, it is completely safe to move around freely and explore the various mini-nature trails. 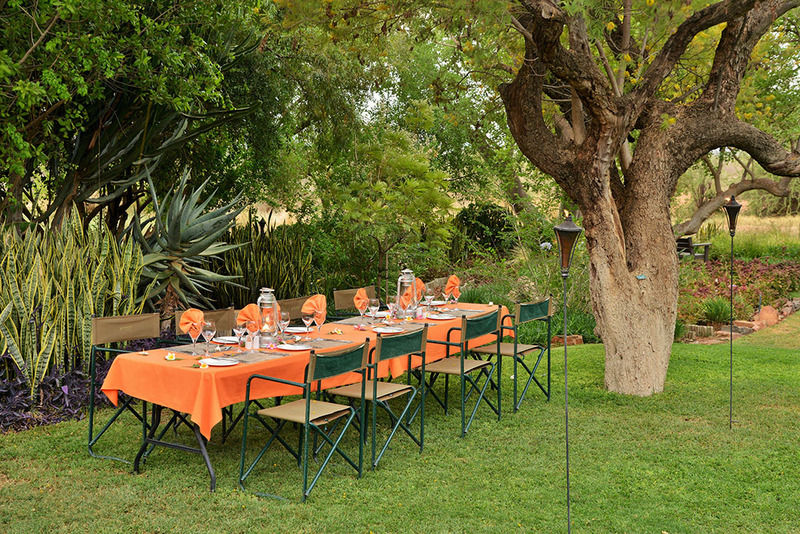 Come mealtimes The Bush House chefs delight in preparing fine traditional fare made to suit your taste preferences, whether it’s brunch in the shade of the indigenous trees, afternoon tea packed with treats or an al fresco dinner in the firelit Boma. 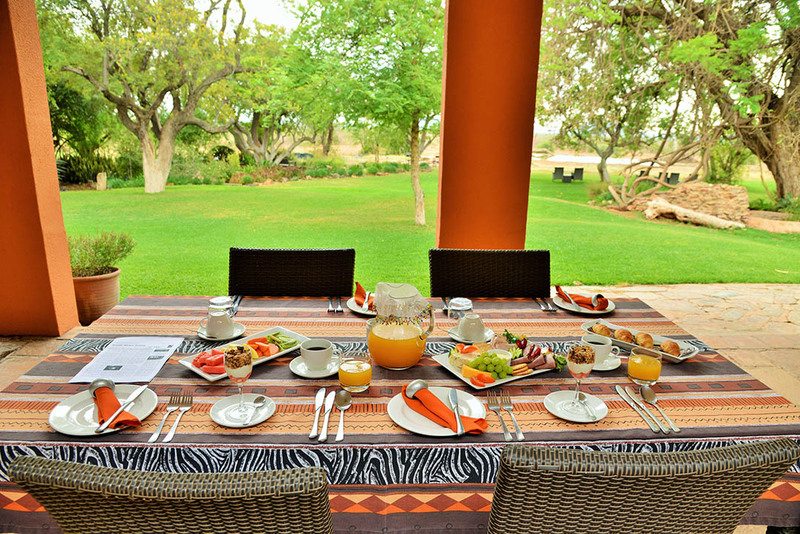 If you’re looking for an authentic home-away- from-home in Madikwe Game Reserve where warm hospitality and attentive care are the order of the day, The Bush House is sure to live up to your expectations. 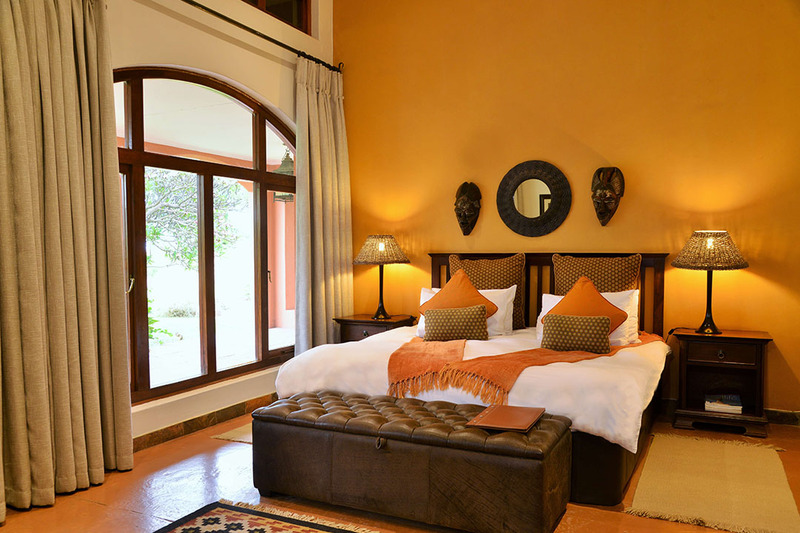 All tariffs quoted are subject to change, without prior notice, however fully paid bookings will be honoured. Babysitters available at an extra cost and with prior notice. 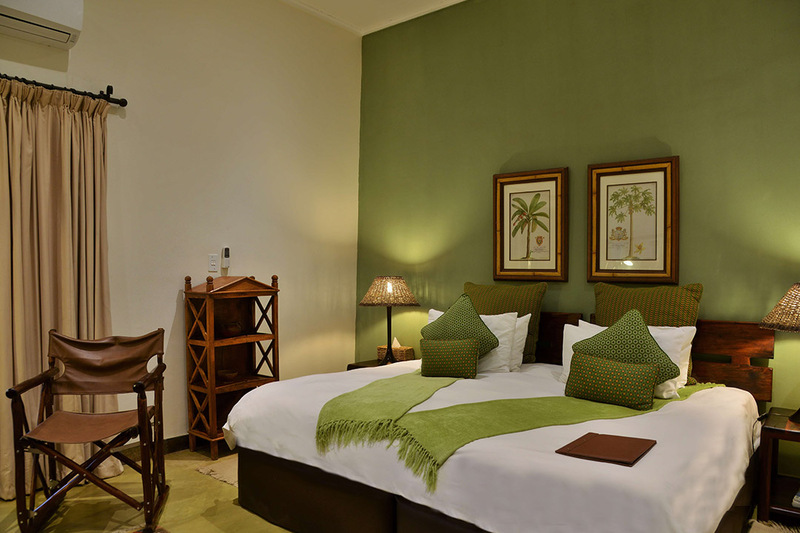 Deposit of 50% of the total accommodation charge is required on confirmation. Early arrivals and late departures can be arranged with prior notice. The scale of charges expressed as a percentage of the total booking value. There are daily flights into the Reserve with Federal Air. These depart from ORTambo Johannesburg and can be arranged on request. 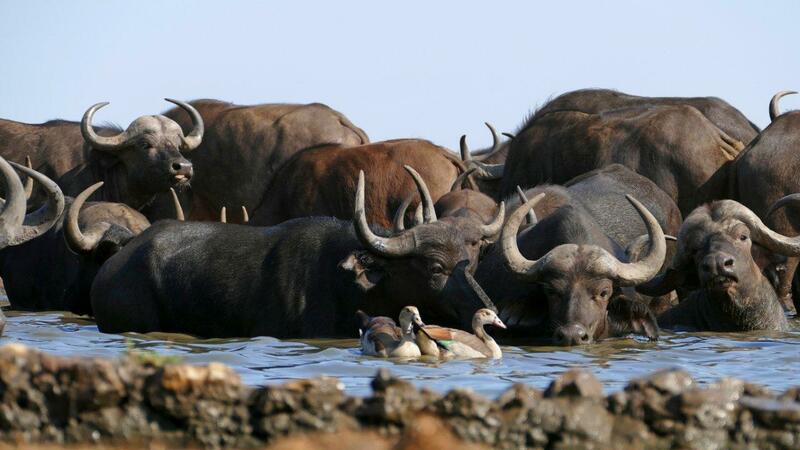 The gate entrance fee/ fly in fee is payable on departure in camp. 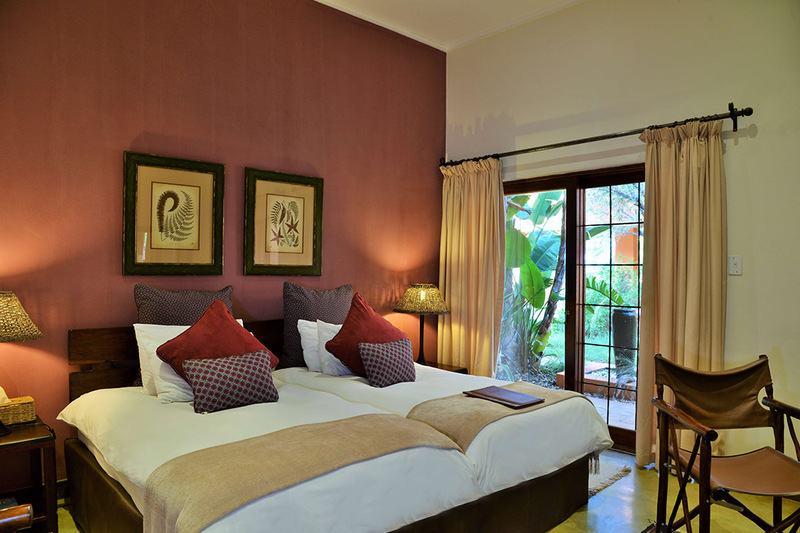 In order to confirm a booking over this period the agent / operator must supply a 25% non-refundable deposit. From Johannesburg head north on N1 towards the N4 Toll Road. Take the N4 Toll road north west towards Rustenburg, Swartruggens, Groot Marico and Zeerust. The toll fee is over R70.00 one way. Once in Zeerust turn right at the fourth stop street into President Street. 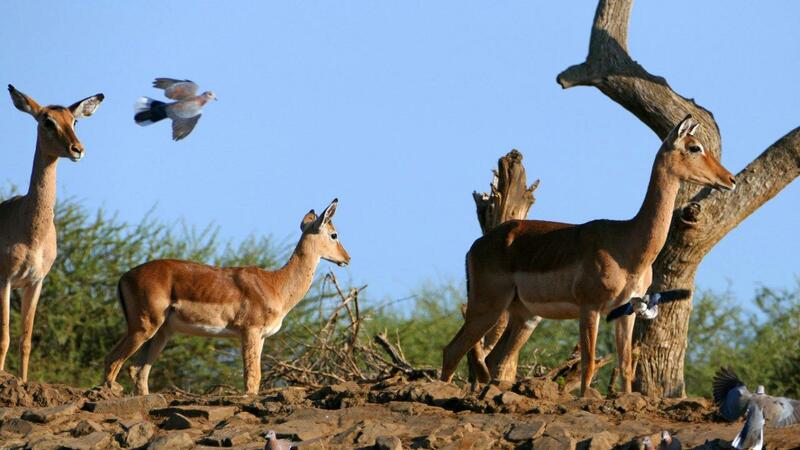 There is a signpost on the left that says “ Madikwe Game Reserve/Gaborone” and an ABSA bank on the corner to the left. Follow the R47/R49 towards the reserve for approximately 95km. Once you have gone through the boom there is a Bush House signboard about 300m along the gravel road. Turn left in here and travel through our gate entrance. Follow the road to reception. Keep to the speed limit, especially when it drops down from 120kms to 80kms. The traffic officials are often at these spots including the small villages where the speed limit is 60kms as there is a lot of trapping along the R47/R49. Best bathroom facilities enroute are at the Wimpy in Koster or the Wimpy in Zeerust. If you drive an unleaded vehicle, fill up in Zeerust as you will have another 200kms before you return that way and the petrol stations between Zeerust and Madikwe are often out of unleaded fuel.